It’s the giant chalk art of a poop emoji in the men’s restroom that really sets a tone for the whole visit. Not sure what tone, but it sets one. 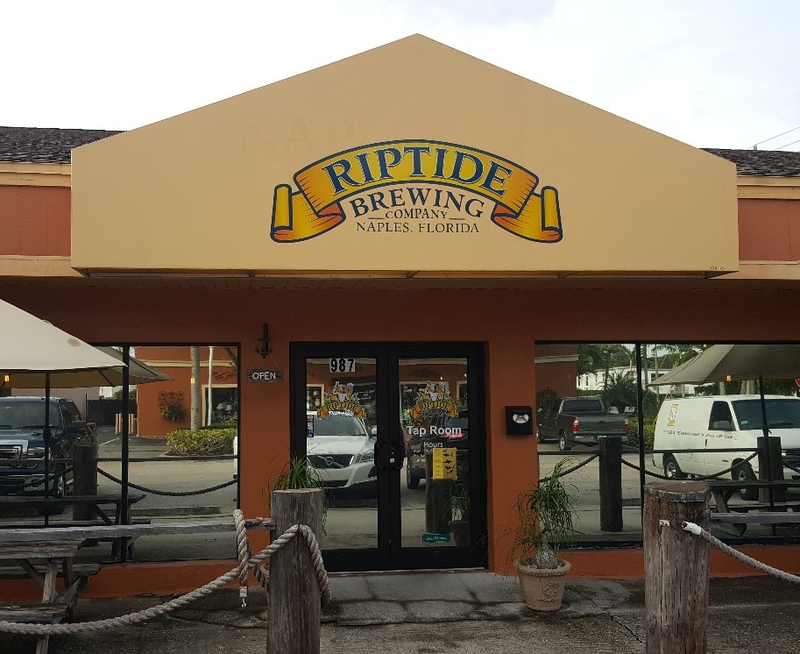 Tucked away in a quaint little shopping village in the incredibly long city of Naples, FL., lies Riptide Brewing. Started by Bob Menzies, Scott Alexander and Norm Scherner, Riptide moved from an out of the way warehouse in Naples to the aforementioned space on Black Friday of 2015. 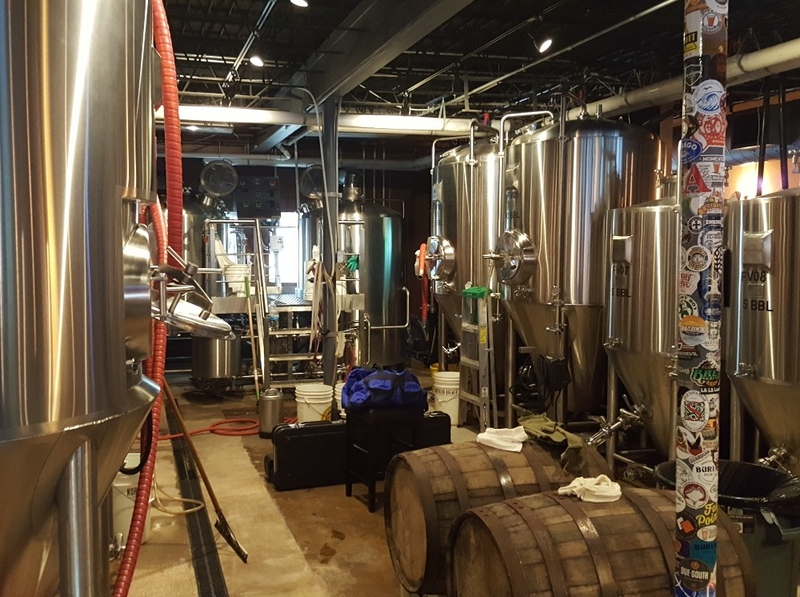 It’s a cozy space, with their huge bar top cutting the tap room in half and giving the brewers ample room to brew on their St. Pete-born 10 BBL system from BrewFab. There’s a lot to do on a regular basis, and my wife and I were really bummed that we were missing the terrarium creation class. It’s a great spin on the art classes many breweries are starting to do. 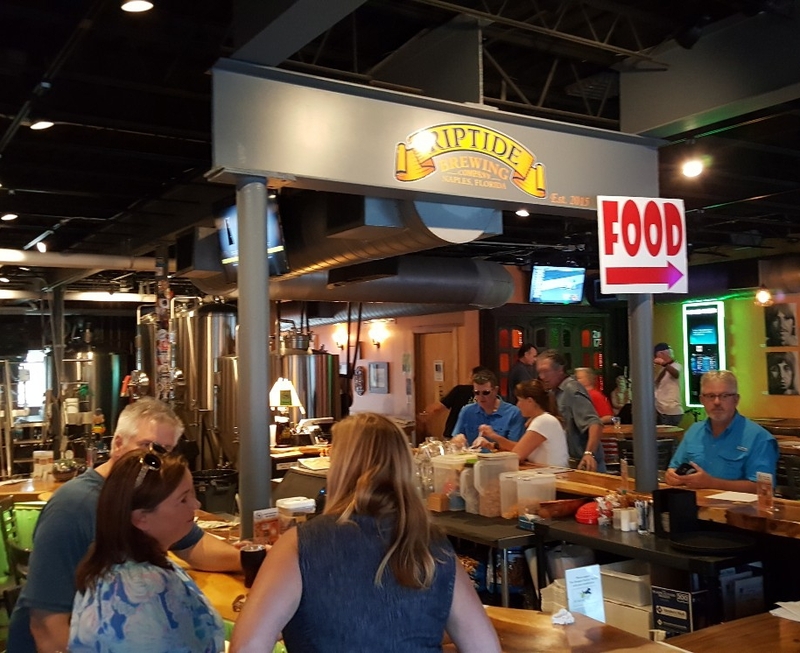 Once the Naples beer tour bus left, the tap room was nice and open and relaxing, and we hung out on the couch over by the main row of taps, under the watchful eye of Uno the one-eyed panther. (The real Uno lives at the nearby Naples Zoo, blinded after a car accident. 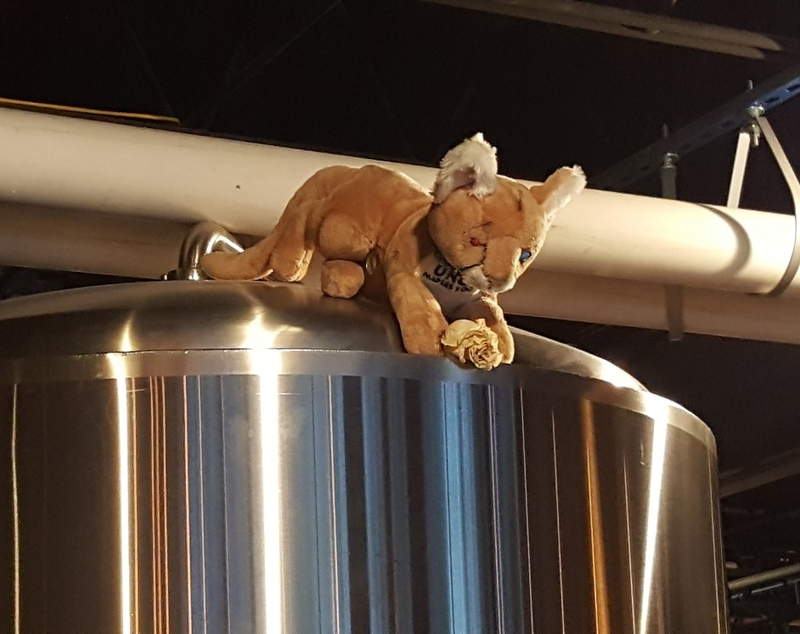 Riptide does annual fundraisers for the zoo and for Uno specifically, as evidenced by some merch still hanging on the brewery walls). 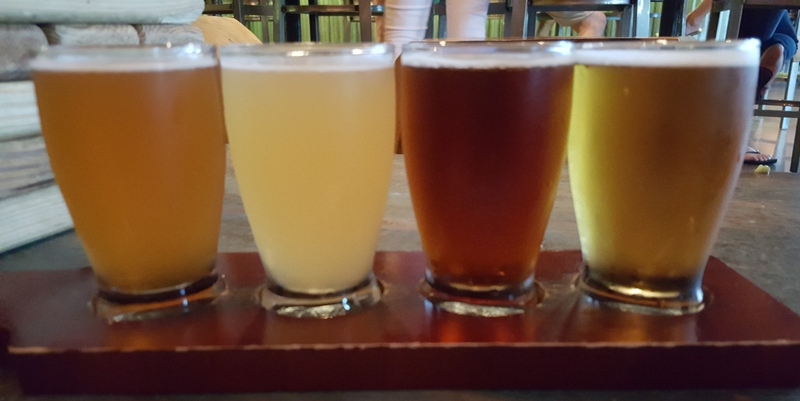 As for the beer, we stuck (mostly) with standards, as is my want for visiting a new brewery. 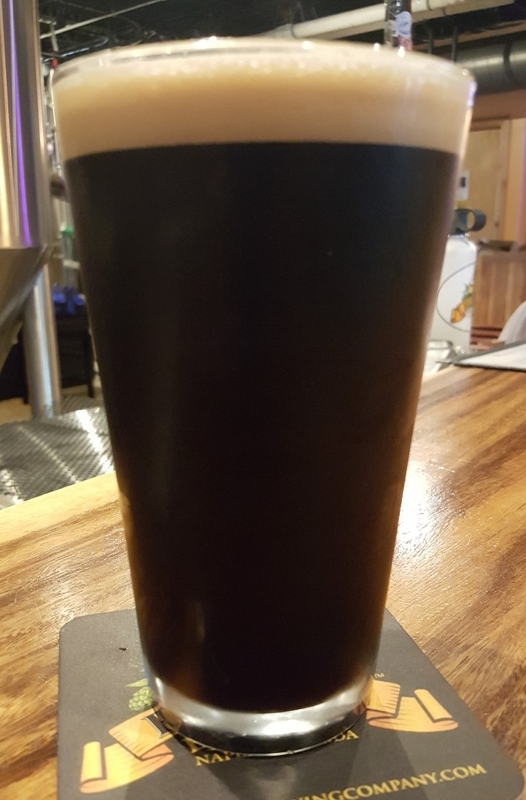 My wife, ever the fan of stouts – one of the many reasons why I married her – went for a nice pint of Big Cypress Stout (Stout, 4% ABV, 13 IBU), a nitro-poured stout low on thickness and big on roasted flavor. Moderate bite and smooth mouthfeel. Havanother PBJ (English Bitter, 3% ABV, 25 IBU) – This is their Havanother English bitter, brewed with the interesting adjuncts of peanut butter, jelly, and breadcrumbs (?). The nose, however, had a big quality of honey, almost if a honey malt was used in copious amounts. Definitely very interesting when paired with a bitter, herbal hop. Whitewater Wit (Witbier, 4.7% ABV, 12 IBU) – Classic Belgian witbier, smartly done. Light on the orange, a bit more with the coriander. Wicked Wench (Scottish Ale, 5.4% ABV, 20 IBU) – This wee heavy was pretty heady. Huge notes of toffee and plum in a slightly boozy and incredibly rich brew. One to savor slowly, but it will be savored well. Shorebreak Session (Pale Ale, 4% ABV, 35 IBU) – A really classic, refreshing pale ale. The hops aren’t too terribly aggressive and bring a solid citrus character to an otherwise light and bready beer. 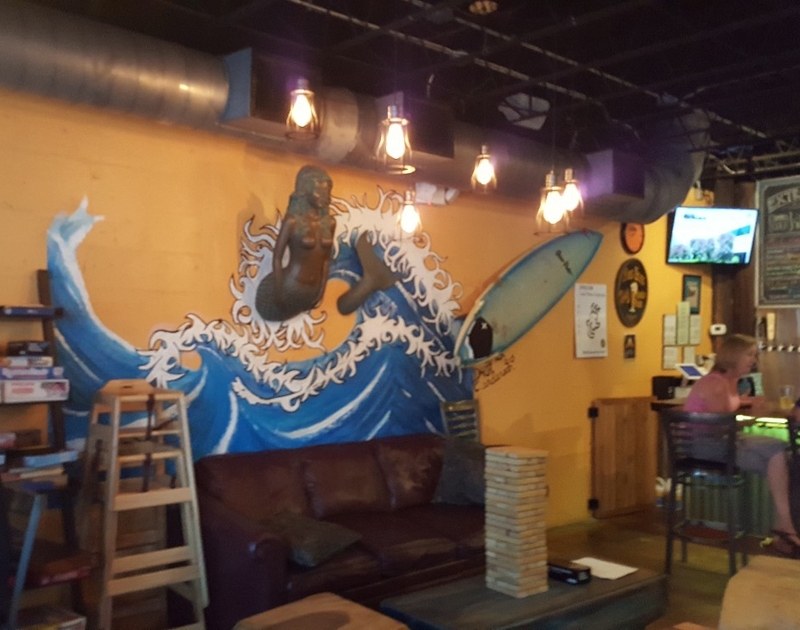 In the end, Riptide Brewing has a pretty solid lineup of beers housed in a comfy taproom not too far from some pretty active areas of Naples. I will have to see when I can come back, especially with those terrarium classes. Those definitely look like a lot of fun. 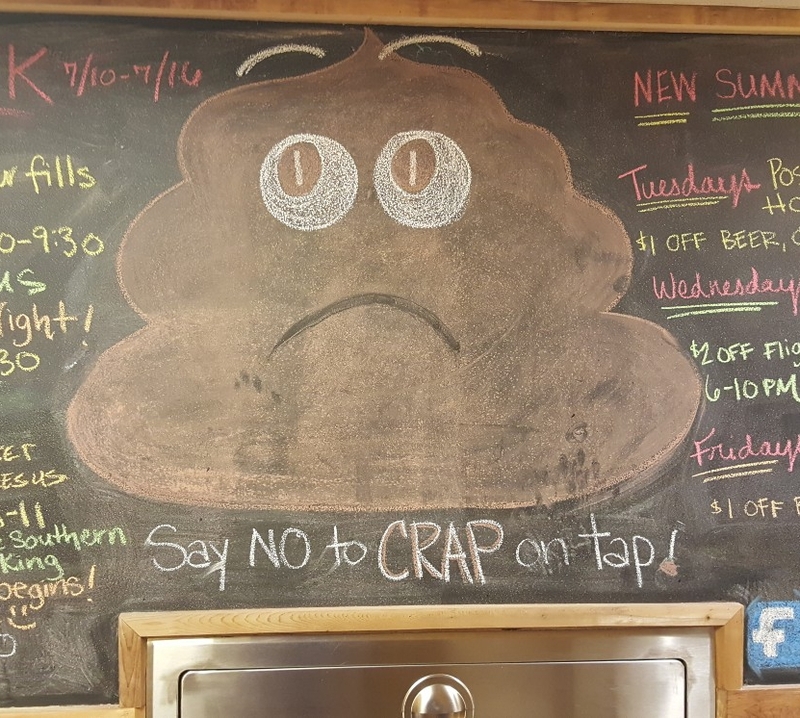 Then again, so does drawing chalk art of poop.